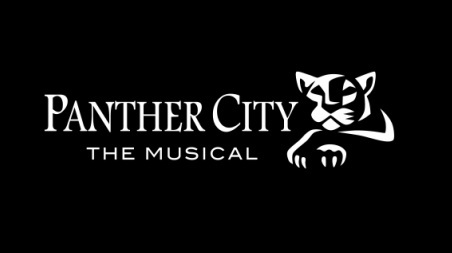 Panther City is a new musical that tells the inspiring, true (well, mostly true) story of Fort Worth, Texas' fight back from certain demise when in 1876 a national depression dashed the growing town’s hope of bringing in the railroad. (A Dallas reporter wrote the town was so dead, he saw a panther asleep on Main Street.) Needing to come together, Fort Worth was deeply divided between the town-builders and saloon owners who gave it a well-deserved rowdy reputation serving Chisholm Trail cattle drovers. About the only thing they agreed on was they all hated Dallas! But somehow this town on the Trinity River, teetering on the brink of extinction, would have to find a way . . .
As the lights come up on Panther City, modern-day Fort Worth converts to the dusty, bedraggled cowtown it was in 1876. To the sounds of the opening number--Lasso A Dream—-the dreamers who built Fort Worth invite those of us who love it today to come learn about its yesterday. We meet many real characters from Fort Worth’s colorful past and a few more besides. Becky Daggett is the heart of the town, fighting to keep it alive even as the railroad backs out on plans to come in—-a sure death sentence. John Cowart, a reporter from Dallas, is interested in a story about Fort Worth. He’s heard it’s so sleepy a panther was seen drowsing on Main Street. But he’s growing interested in Becky as well. In Borderline, she shows what keeps her hoping against all odds. Local residents such as B.B. Paddock, editor of Fort Worth’s first newspaper, and K.M. Van Zandt, who founded the first bank, take time to educate John on the rivalry between Fort Worth and Dallas. Their feelings? Aptly summed up in the song’s title--To Hell With Dallas! The dream that Becky Daggett dreams seems out of reach for some of Fort Worth’s citizens. Gabe and Glory, two African Americans, and their friend, Antonio, sing out their frustration in Freedom Doesn’t Mean Your Free. As the show nears its end, the fate of Fort Worth hangs in the balance. John and Becky, finally seeing eye to eye (and heart to heart), encourage everyone in Panther City—-cowboy and townsfolk; black, white and Hispanic; upright citizen or scalawag—-to come together and help bring the railroad in. The finale--One By One-—reflects what actually happened in 1876, the people of Fort Worth went out and laid the tracks to bring the railroad to town, saving the city and launching the future.